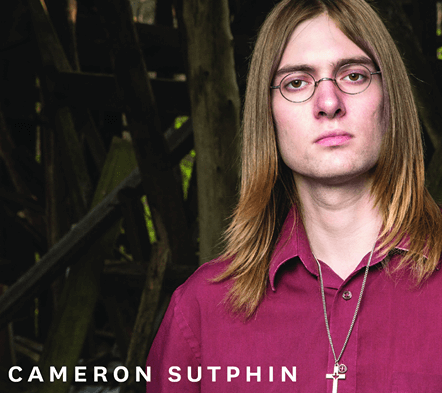 Join us from 7:00-9:00PM for a Night with Cameron Sutphin! Cameron Sutphin is part of the duo known as Cameron & Mary. They perform original material and classic country and folk cover songs such as, The Times They Are A-Changin’ (Bob Dylan,) 500 Miles (Peter, Paul, and Mary,) Folsom Prison Blues (Johnny Cash,) Blue Eyes Crying In The Rain (Willie Nelson,) and Midnight Special (Traditional) as an acoustic act. In 2018 Cameron released my debut C.D. Heartbreak Town. Since its release, the C.D. has been in rotation on the Jukebox at J.R.’s Café in East Windsor Connecticut, as well as several local folk radio stations in Connecticut and Massachusetts. In addiction to this Cameron has appeared the radio show Blue Plate Special. Besides this Cameron has recorded the song “Mamma Tried,” for Erik Pilmanis’ video of the Naugatuck Railroad that currently has over 1,500 views on YouTube. He also has had the privilege of playing at Pastori’s, a now successful restaurant featured on the T.V. show Restaurant Impossible, as well as performing for Connecticut Governor Dannel P. Malloy. And the privilege of performing at The Big E this year. Cameron has also had the privilege to share the stage with many performing artists, he has opened for national touring artist Drew Kelly, Mark Mandeville and Raianne Richards, as well as Emily Ann Roberts Season 9 runner-up on The Voice. Cameron & Mary have performed in 26 states and Washington D.C.